We couldn't think of a better accessory to go along with our private pink sand beach so we asked our bartender, Michael Pitt, to create a special pink martini - just for The Reefs! 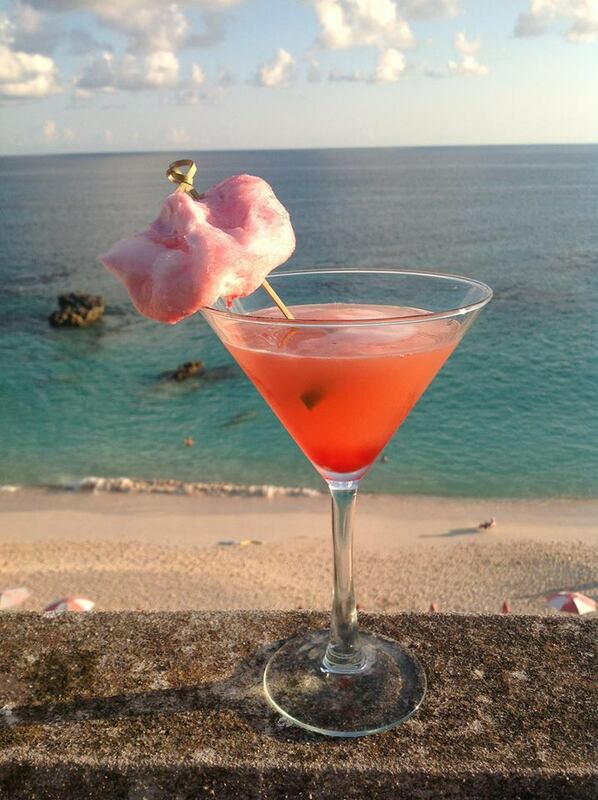 Our Pink Cotton Candy Martini is sure to make your summer last a little longer. Better yet, during the month of October, one dollar from each martini sold will be donated to a breast cancer charity. To make our pink creation at home, follow these instructions below. Pour Grey Goose, cranberry juice, pineapple juice and lime juice over ice in shaker glass. Shake well. Set pink cotton candy inside the glass and slowly pour ingredients over the cotton candy. Garnish with a lime. Now you have our top-secret recipe; but, if you'd rather have our seasoned bartenders shake up a Pink Cotton Candy Martini for you, we understand.